Last week, when the NBA banned racist team owner Donald Sterling, some said: “What about free speech? Can’t a guy say what he thinks anymore?” The answer: Yes, you can. But the free market may punish you. In America today, the market punishes racists aggressively. This punishment is not “censorship.” Censorship is something only governments can do. Writers complain that editors censor what they write. But that’s not censorship; that’s editing. 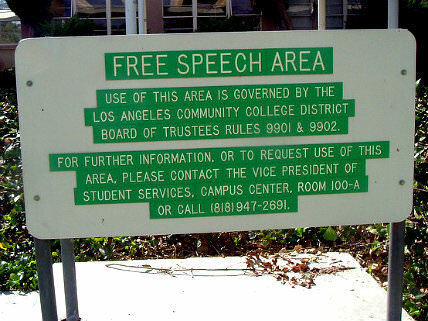 It’s fine if the NBA—or any private group—wants to censor speech on its own property. People who attend games or work for the NBA agreed to abide by its rules. Likewise, Fox is free to fire me if they don’t like what I say. That’s the market in action, reflecting preferences of owners and customers. But it’s important that government not have the power to silence us. We have lots of companies, colleges, and sports leagues. If one orders us to “shut up,” we can go somewhere else. But there is only one government, and it can take our money and our freedom. All a business can do is refuse to do business with me, causing me to work with someone else. Government can forbid me to do business with anyone at all. Of course, government never admits it’s doing harm. Around the world, when government gets into the censorship business, it claims to be protecting the public. But by punishing those who criticize politicians, it’s protecting itself. That’s why it’s great the Founders gave America the First Amendment, a ban on government “abridging the freedom of speech.” But I wonder if today’s young lawyers would approve the First Amendment if it were up for ratification now. The goal is noble: create a kinder environment. But who gets to decide how much “hurt” is permissible? Recently, a fourth-grade teacher in North Carolina was ordered to attend sensitivity training after teaching students the word “niggardly.” When the power to censor lies with the people most easily offended, censorship never stops. “No value comes out of hate speech,” said a future lawyer. “We need to regulate flag burning … and blasphemy,” said another. One student wanted to ban political speech by corporations, and another was comfortable imprisoning people who make hunting videos. I’ll fight it by publicly denouncing it, speaking against it, boycotting the speaker. That’s what the NBA’s employees and customers demanded, and quickly got. What convinced me that almost all speech should be legal was the book Kindly Inquisitors: The New Attacks on Free Thought, by Jonathan Rauch. He explains how knowledge increases through arguments. Fight bigotry with more speech.